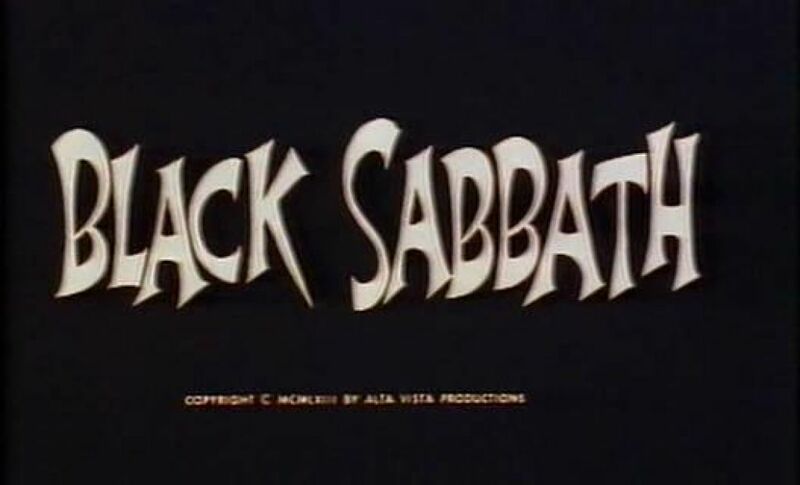 Cinema Sunday: Black Sabbath (1963) | Magazines and Monsters! As October arrives, so does another movie review! 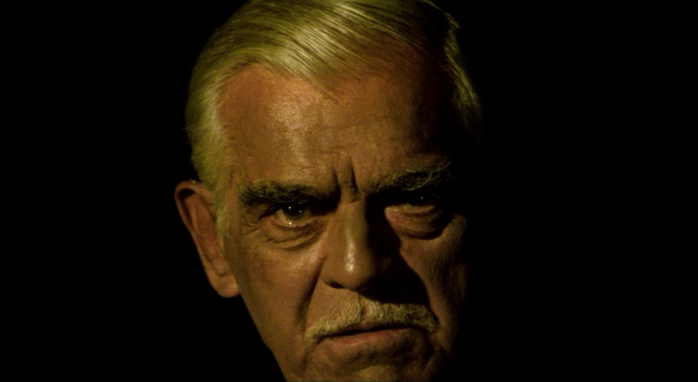 To say that I’m obsessed with Boris Karloff films at the moment would be an enormous understatement. Upon watching this film for the first time a few weeks back, I was in awe because this anthology film is introduced and concluded with Karloff himself revving up the audience for the horror they are about to encounter (and possibly see outside of the theater! ), plus he stars in one segment as well! I must confess that I’m not a big fan of anthology (or portmanteau, if you prefer) films. But there are a select few that I do enjoy (Amicus Productions, of course), and this film is probably at the top of that short list. The first tale (“The Drop of Water”) begins with a woman (Jacqueline Pierreux) answering a phone. There’s a wicked storm rolling through, setting an incredibly eerie mood. The woman on the other end of the phone is calling to ask for help with a dead body that needs to be dressed. The woman is apparently a nurse (or an assistant), and is quite put off by the request at such a late hour. She does agree to come over though. The door is answered by a pale looking servant, who seems frantic. She explains to the woman who the dead woman was a medium, and very mysterious. And also that if anyone should try to desecrate the home or her corpse, they’ll be cursed! 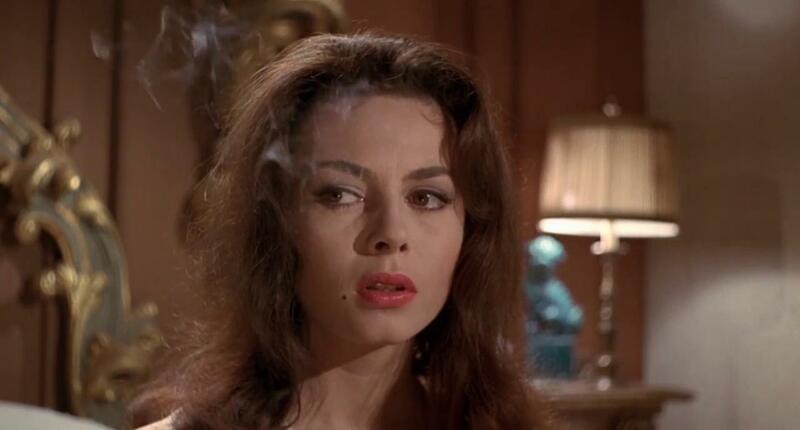 The woman enters the bedroom where the dead woman is lying. She immediately sees the hideous face of the medium, but then her eyes shift to a huge ring on the corpse’s finger that looks valuable. She’s immediately bothered by a fly, and it seems no matter what she does, it won’t stop harassing her. She then returns home, but begins to see things that cannot be explained. As the night goes on, her chances of living through the curse diminish. The second installment “The Telephone,” shows a beautiful young woman (Michèle Mercier) (in the Italian version, she’s a prostitute, but the American version doesn’t mention it at all), returning to her apartment for the evening. She receives two phone calls where the caller simply hangs up on her. The third time though a voice calls her by name, and tells her how beautiful she is, and that he’s watching her. He claims that she knows him but acts as if she doesn’t. The calls continue and get more explicit with each one. Rosy eventually finds out that the voice on the phone is Frank (Milo Quesada)(in the foreign version, Frank is her former pimp that she testified against and he went to prison-in the American version it’s ambiguous, and you get the impression Frank is a former lover perhaps, and he’s supposed to be dead). Rosy then calls her friend, Mary (Lydia Alfonsi), and asks her to come over because she’s frightened. Mary does come over, and believes that Rosy has gone off the deep end. After they talk, Mary provides Rosy with a knife for protection. After they have tea, Mary tells her that she slipped her a sedative to help her sleep. Later that night, an intruder breaks into the apartment and attempts to murder both women. Finally, we “The Wurdalak (a Russian term for vampire).” In 19th century Russia, we see Count D’Urfe (Mark Damon), riding through the countryside. He comes upon a horse with a man slumped over it, and a knife in his back. Upon chasing down the horse, he sees that the man also has been decapitated. He pulls the knife from the dead man’s back, and finds the nearest residence. He enters and is greeted harshly by Giorgio (Glauco Onorato), who claims that the blade belongs to his father. 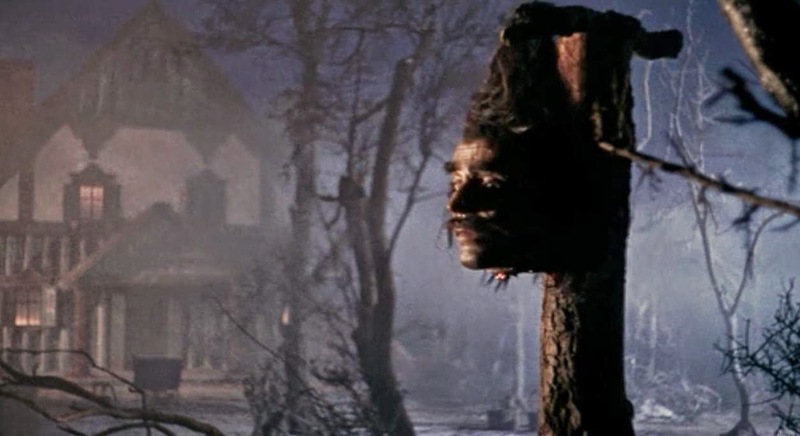 The Count takes Giorgio outside to explain things, and then another man, Pietro (his younger brother), appears and plunges a sword into the corpse. They tell the Count that they’ve been waiting for the return of their father as he’s been gone for a few days, trying to fight the wurdalak. They offer him shelter for the night, and he accepts. The Count was given a warning though, and he didn’t understand it. He then asks Sdenka (Susy Andersen), what the warning was all about. She explains the terror of the wurdalak, and how her father told them that if he didn’t return by 10pm on the fifth day of his leaving, they were not to let him in the house and should drive a lance through his heart. 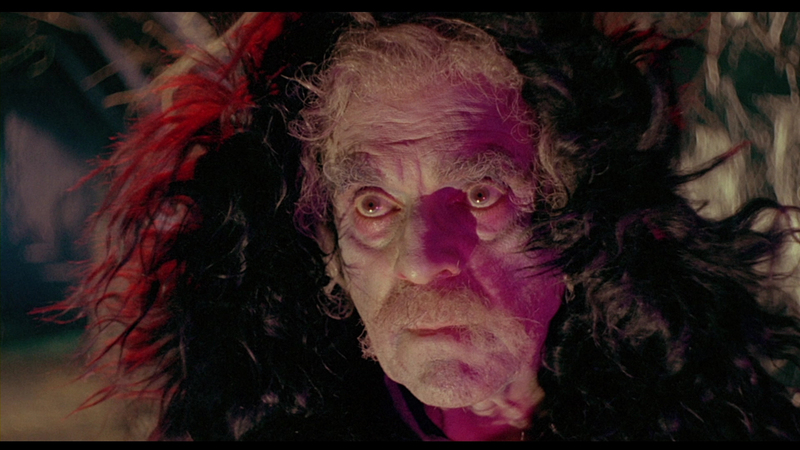 Around midnight, Gorca (Boris Karloff) returns. The family is wary but he does look normal…at first. He refuses food, talks about being very cold, etc. Before the night is over, Gorca will reveal his true colors. As I stated earlier, I’m not a huge fan of anthology films. This one is pretty awesome though, and Karloff has a lot to do with that fact. Just his segments before and after each tale are cool, but his presence in one of the tales is the icing on the cake. Quite honestly though, that tale was the one I felt went on a bit too long compared to the others. All three are solid though, and have good acting, sets, and musical score (Roberto Nicolosi). 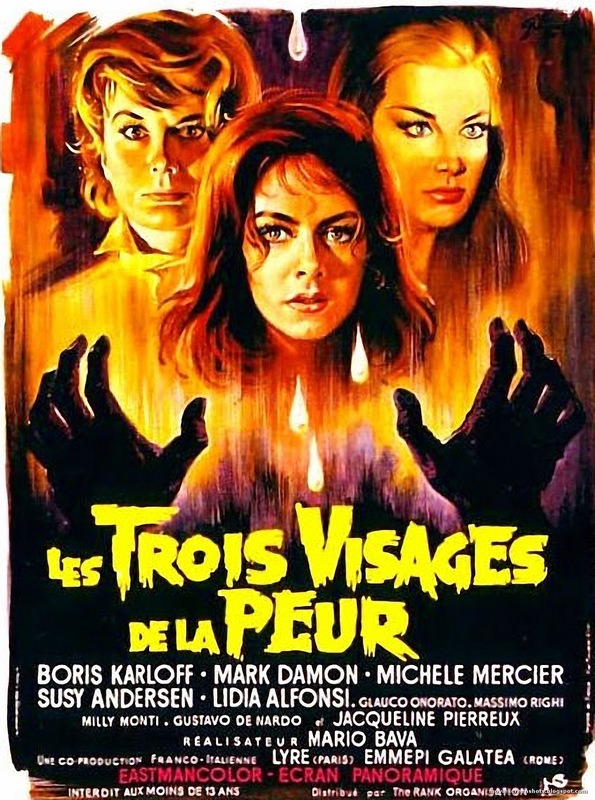 Mario Bava is one of the most influential directors/writers of the century without question. Even in films with too many hands in the pot (like this one), his vision rises above the other noise, and generates something unique. I’ve only seen a few of his films, but the man had a knack for using low budgets to bring forth astounding horror films.